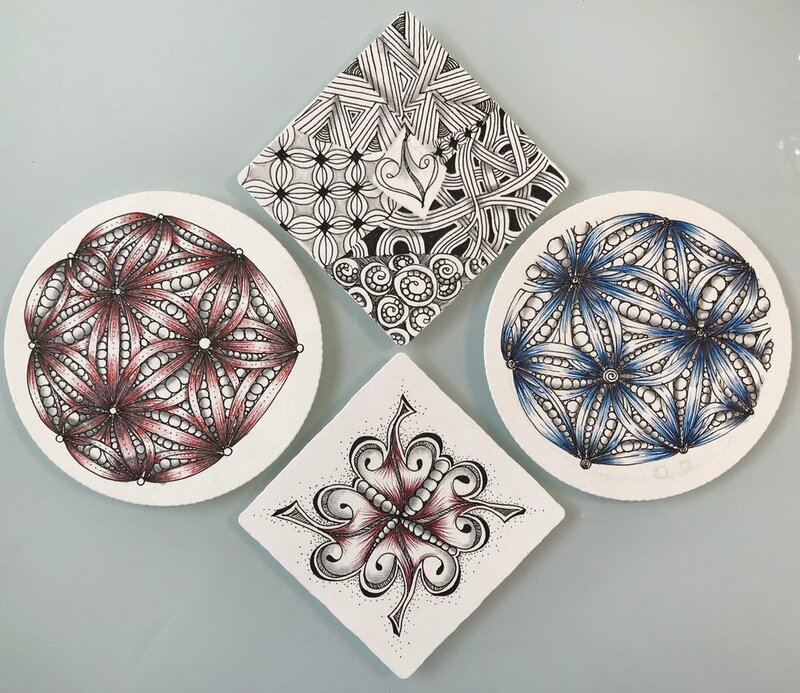 Begin 2019 at the beginning with a Basic Zentangle Class. Zentangle is a mindful method of drawing repetitive patterns that is relaxing and fun. Getting back to basic tangling we will tangle with some new ideas while relaxing and staying focused. This class is a variation of a basic Zentangle class with an emphasis on shading. Create a tangled tile album and an origami folded book using only one sheet of paper. Included are variations and an added bonus project. Lots to do but always leaving time to tangle! Interpreting a feather using Zentangle®! Whether traditionally in black and white or with color, we’ll explore two distinct techniques giving two entirely different and beautiful looks. Decide which one you love, perhaps both! Please bring your basic supply kit. All other materials provided. Introductory class to Zentangle, a method of drawing repetitive patterns that is relaxing, mindful and meditative. "Anything is possible one stroke at a time." Using our basic supplies and tangles but thinking “beyond the border”, we will further explore the Zentangle method, getting back to the basics of Zentangle and adding a little imagination and creativity for a fun and relaxing session.